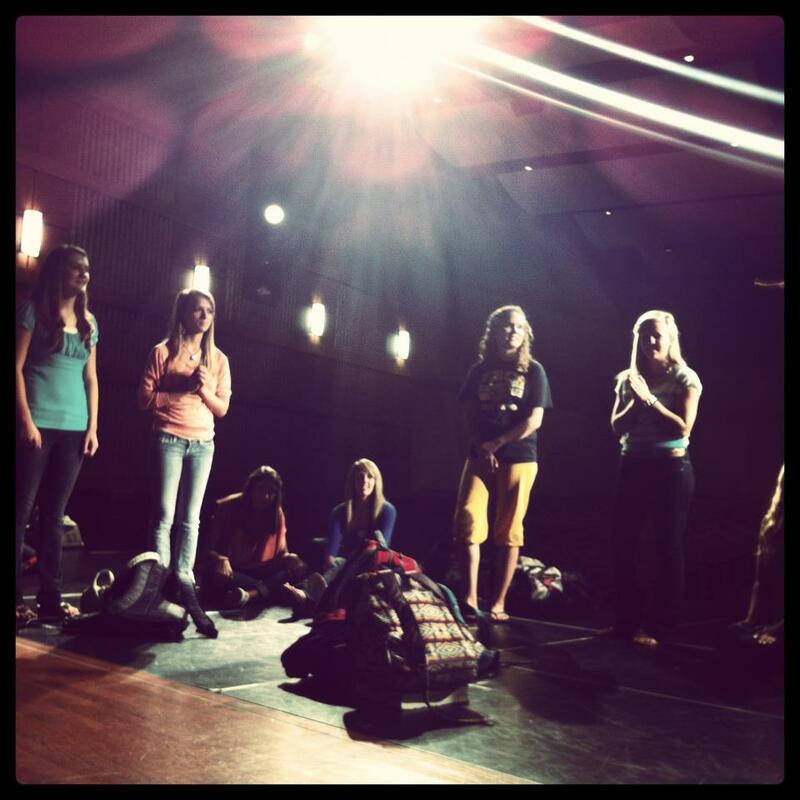 Third period theatre students discuss their performance. The third period theatre arts class at Gibson Southern is attempting something new to be featured at this year’s annual Vaudeville production. This act will be at the end of Act I right before intermission of Vaudeville 2012: Live!. The class has been working on a mash-up of “Singin’ in the Rain” and “Umbrella,” which is to be sung by Senior, Lauren Fuhs, and Junior, Kolten Turner, as well as some choral help from the rest of the class. In addition to being sung, the song will have a choreographed routine with umbrellas and, believe it or not, rain. Since school began in August, the third period theatre class has been planning, rehearsing, and doing the number over and over for repetition. The act has been directed by teacher and director, Matt Hart. “Singin’ in the Rain” was originally a song by Gene Kelly, from the 1952 movie, of the same title, and “Umbrella,” the hit song by Rihanna from 2007. This mash-up version of the song by Rihanna and Jay-Z was originally shown on FOX’s hit TV series, “Glee: Season Two” in November 2010. This act is sure to be a hit with the talent and special effects included. 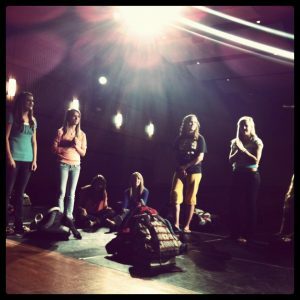 Watch for the third period drama class right before intermission at Vaudeville 2012: GSTD Live! Vaudeville 2012: GSTD Live! will be held November 8-11, 2012 at Gibson Southern High School Auditorium. Tickets for this show, as well as Young Playwrights 2013 and Phantom of the Opera, may be purchased at https://www.gshstheatre.com/.